In order to protect parks and open spaces, we need more people who care enough to speak out and stand up for conservation. Jenny Mulholland Bearhs is leading a Coalition that is making that happen. Jenny is the Director University of California Berkely’s Outdoor Engagement Coalition. The coalition is a membership-based group that works to give all Californians an opportunity to get outdoors. 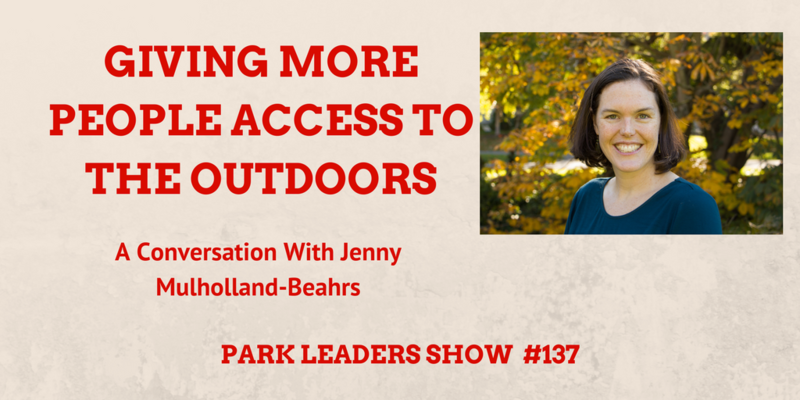 In this episode of the Park Leders Show, Jenny talks about the work her organization is doing and how other states can create a similar coalition to spread the work.